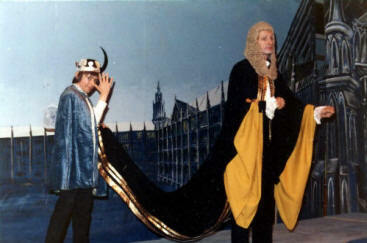 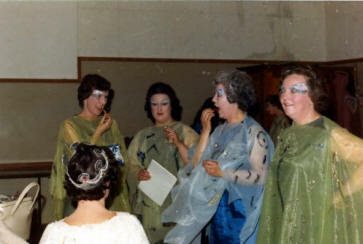 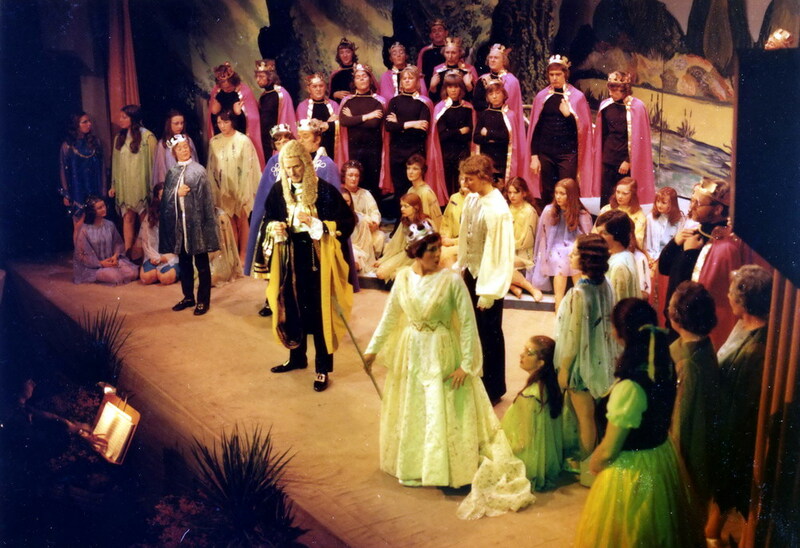 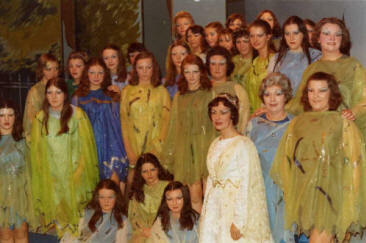 Iolanthe performed in the early 1960s. Barbara Fuller is the Fairy Queen. 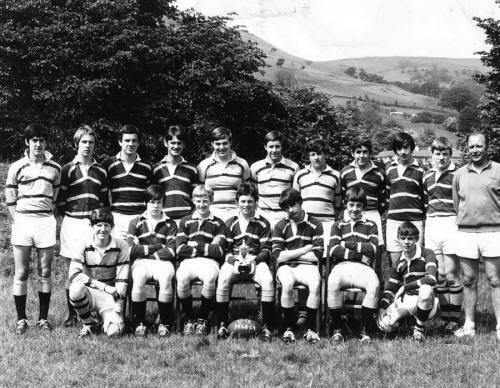 Back Row L-R : Mr.Lambert, Alan Brown, Ralph Thomas, Clifford Parrish, Nick Howells, Meirion Thomas, Wyn Morgan, Jeff Thomas & Mr.Geoff Davies. 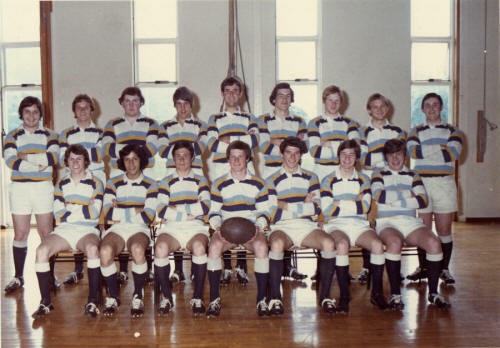 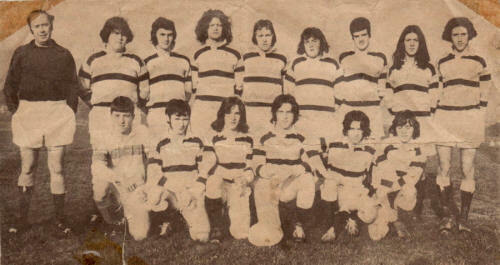 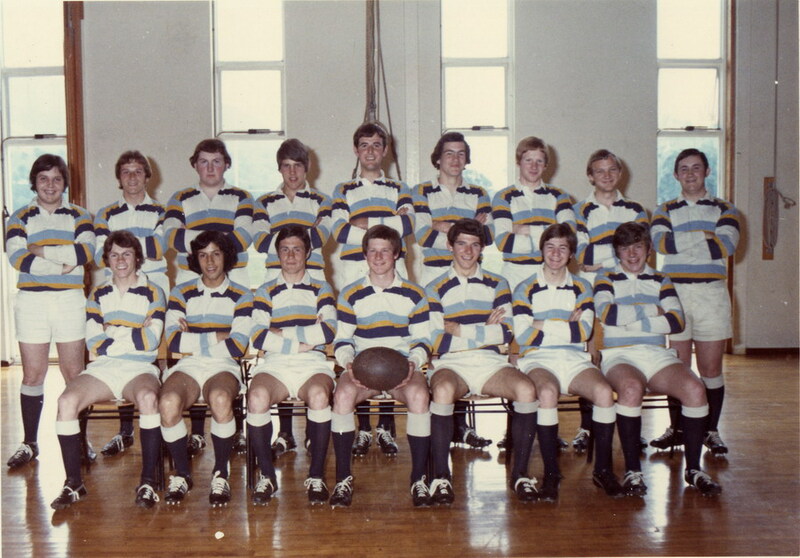 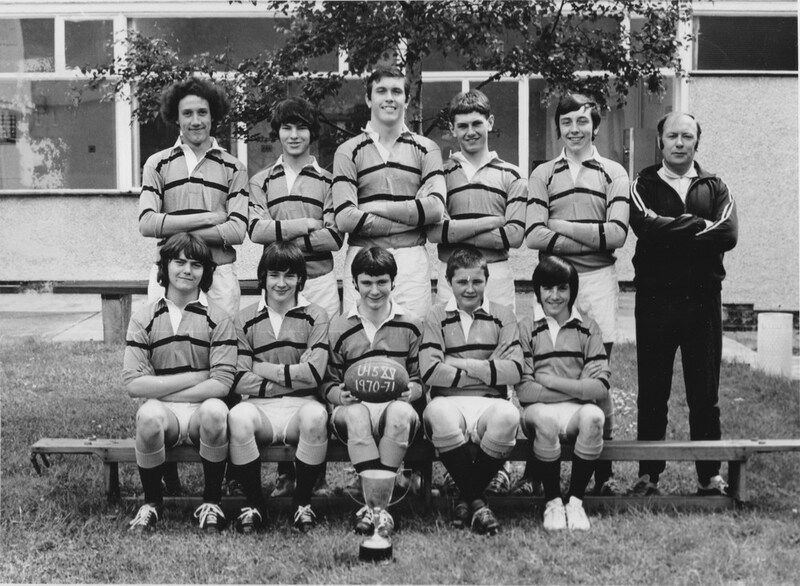 Middle Row L-R: Terry Neil, Wynford Lloyd, Keith Grundy, Terry Chewins, Kevin Jones, Dennis Michael & Wayne Price. 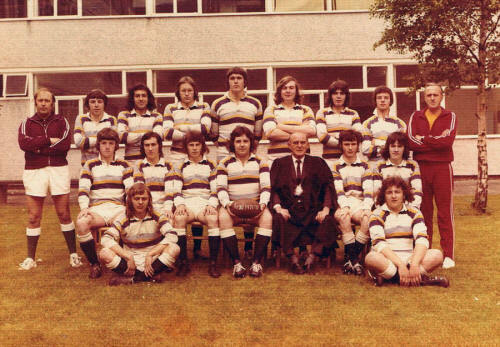 Front Row L-R: Philip Rees & David Dallimore. Back Row L-R: Phil Ingram, Colin Ross, Alan Evans (Scobie), Dennis Cotter, Edward Margan, David Eynon & Alan Hughes. 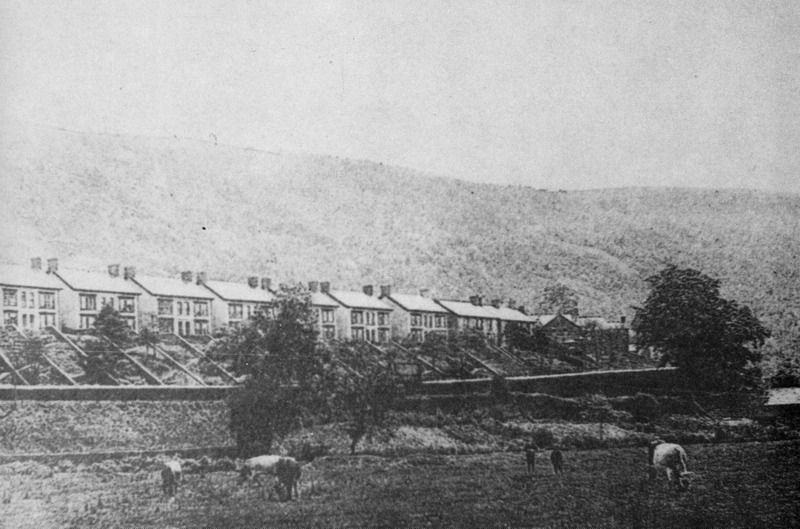 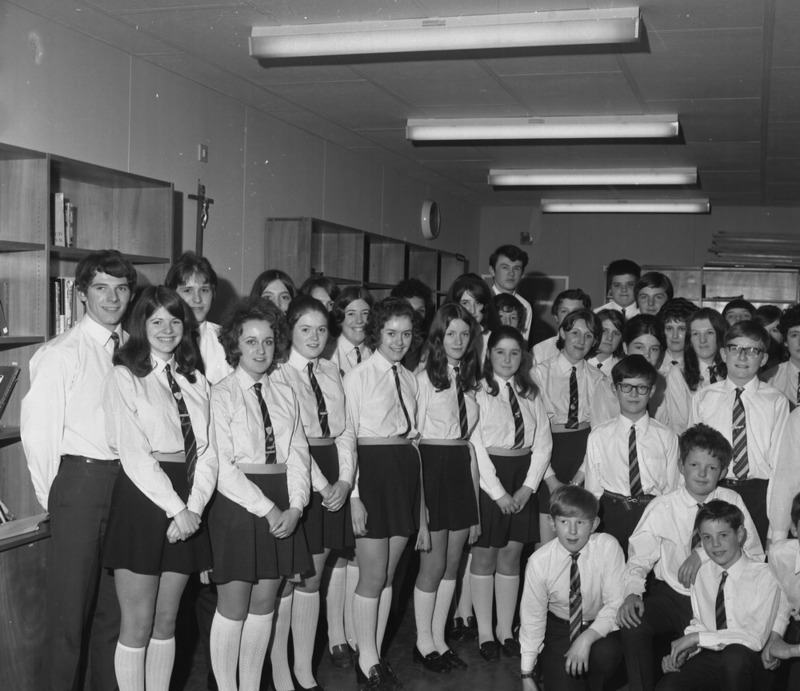 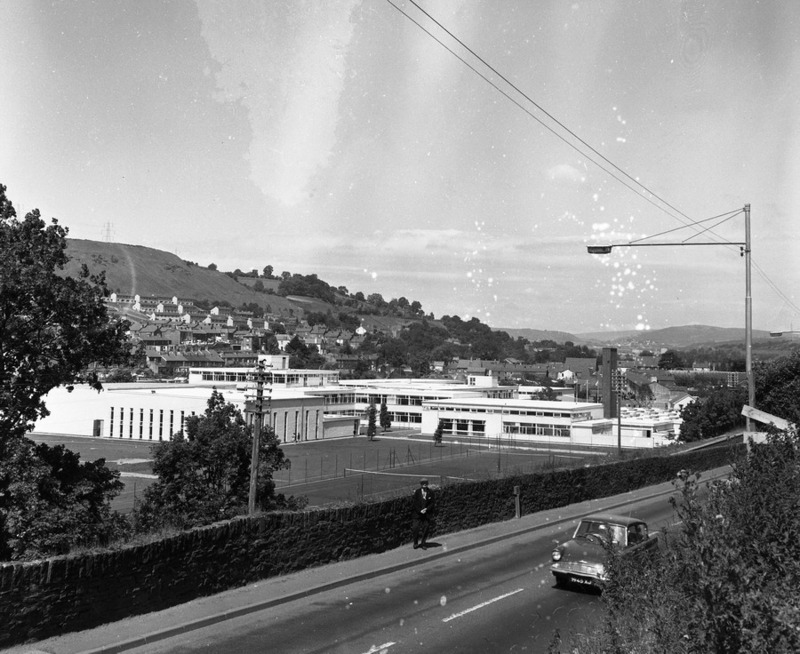 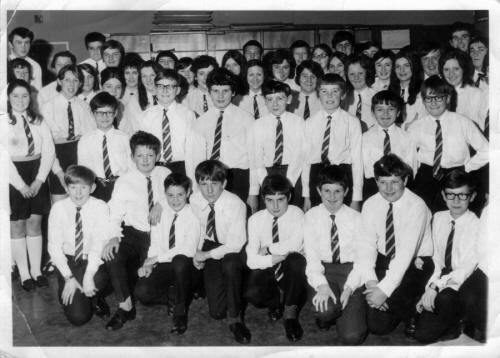 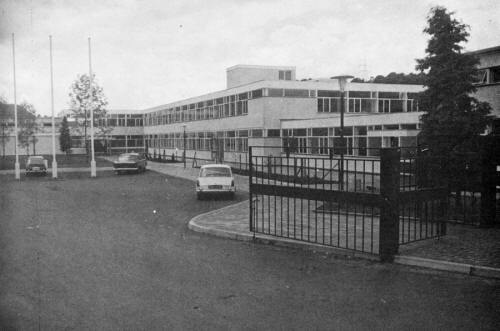 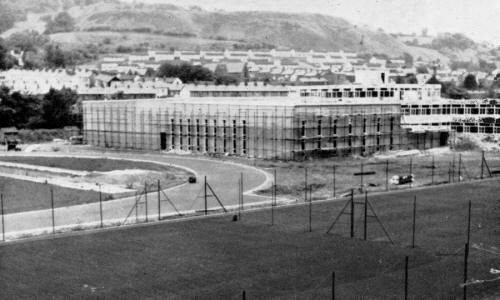 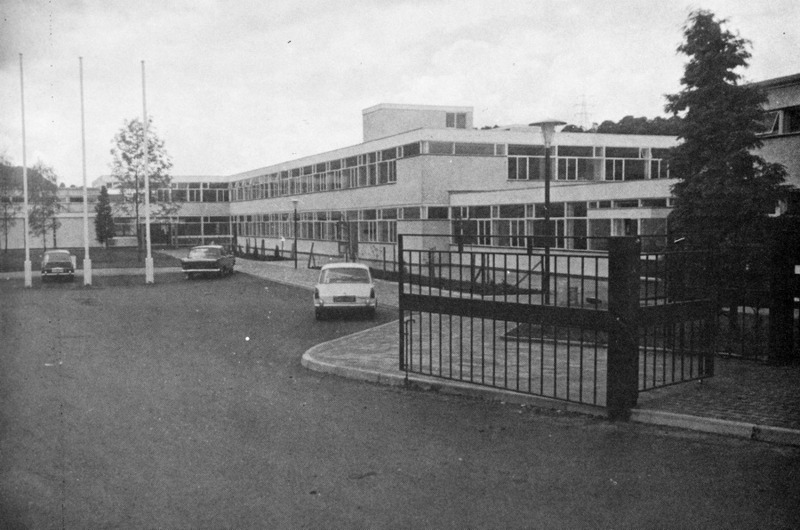 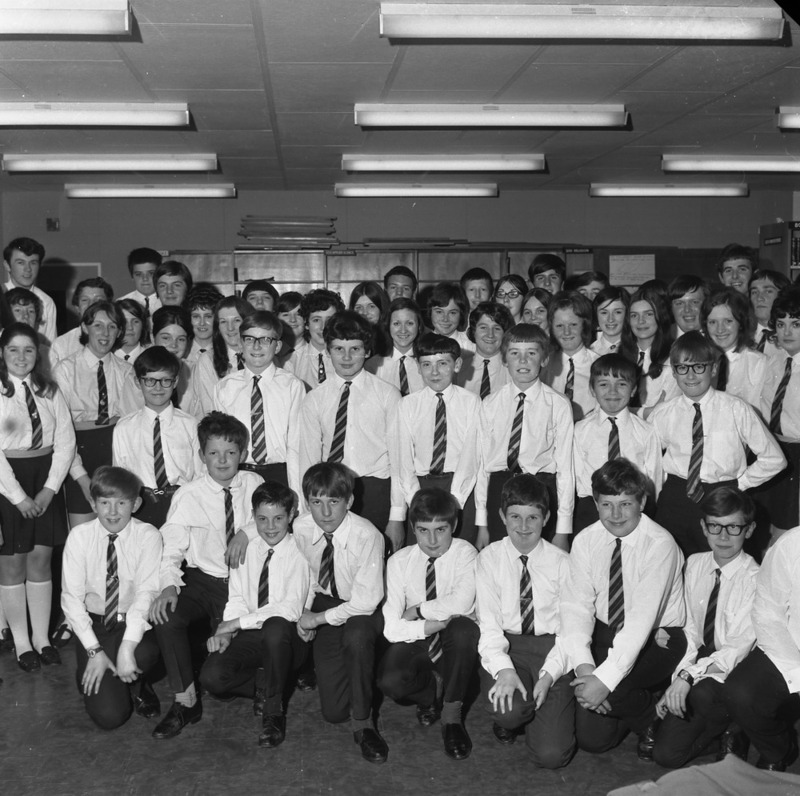 Afon Taf High School Choir - 1969. 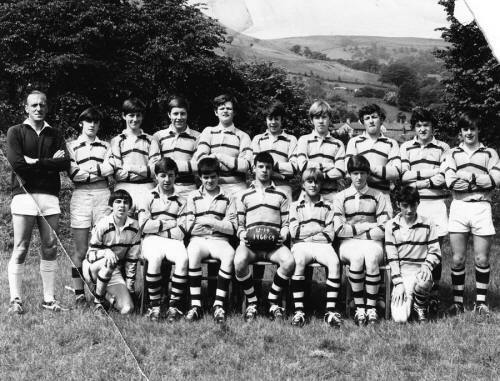 Names known are: Colin Edmunds, David Parry, Paul Haskell, Anthony Tanner and Steven Williams. Wayne Price, Wyn Morgan, Jeff Thomas, Alun Pryce. 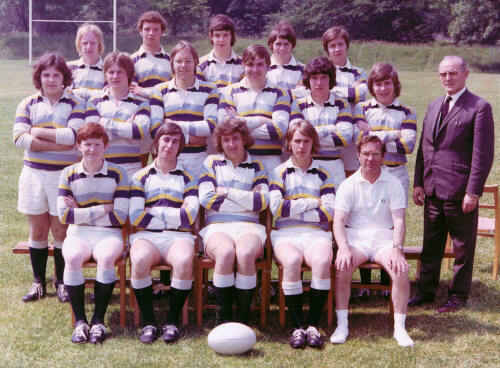 Front Row: Terry Neill, Keith Grundy, Kevin Jones, Terry Chewins, Phillip Rees, Alan Brown Wynford Lloyd. 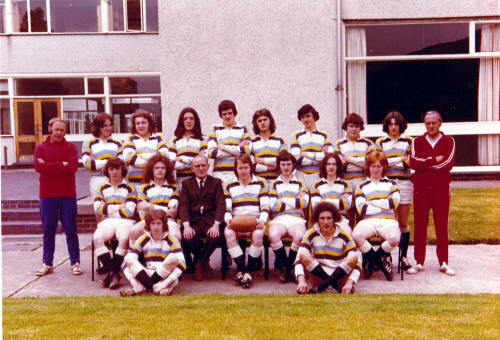 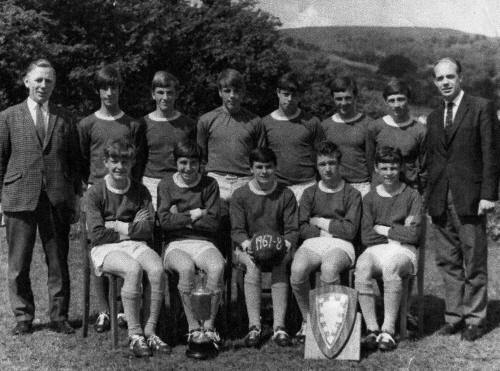 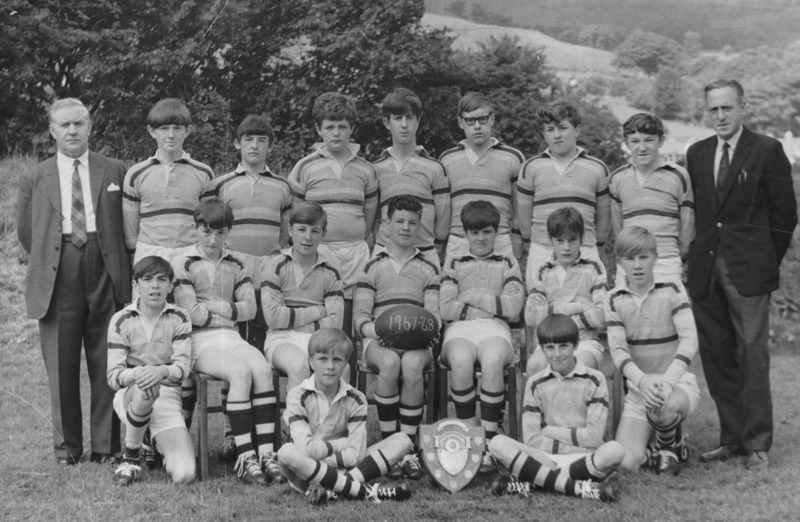 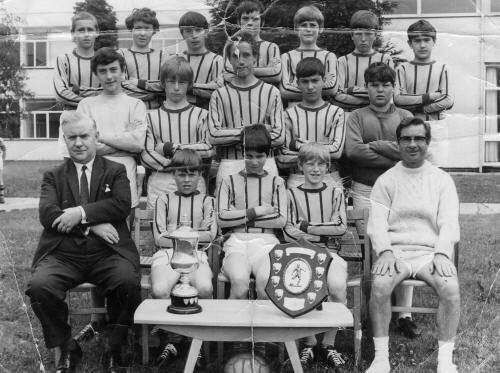 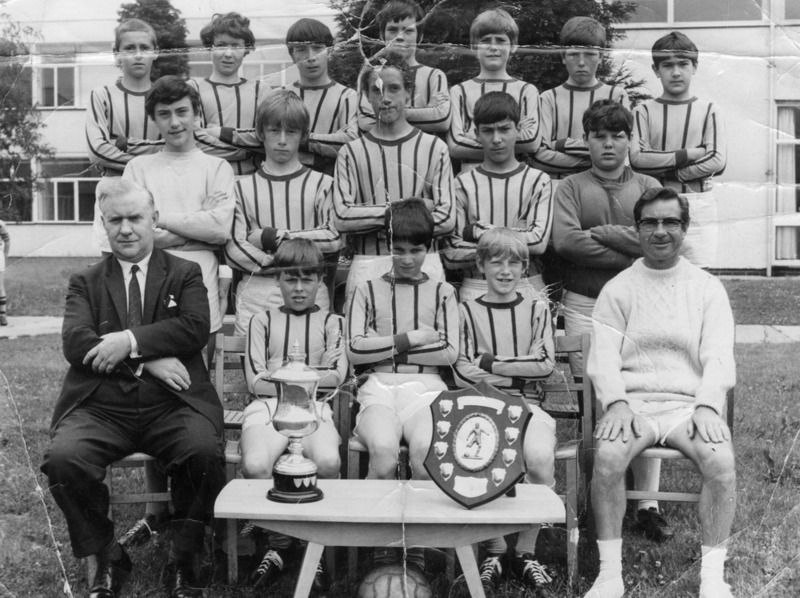 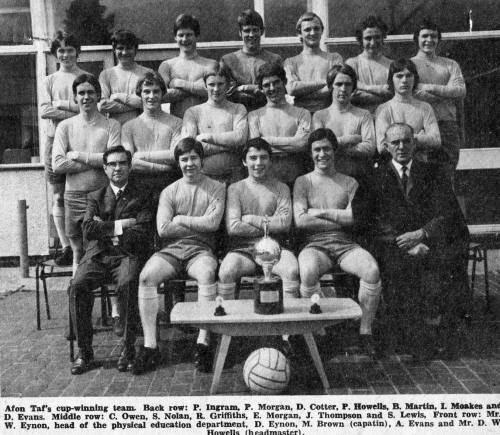 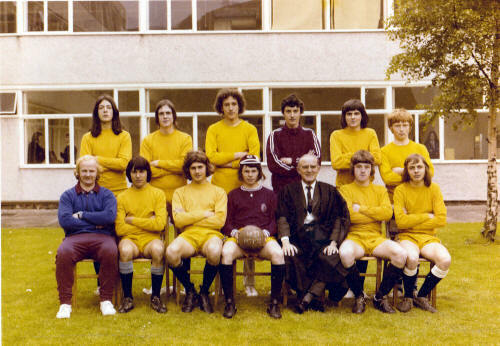 Afon Taf - Under 13 Football Team - 1970. Afon Taf School Choir - 1970 - After Winning Shield at the Urdd Eisteddfodd. 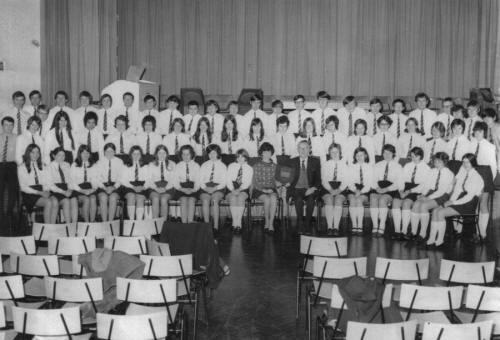 Girls (Front): 1,2,3,4,5,6,7,8,9, Carol Hickey, Harry Goodall, 10,Beverley Hatch,12,13,14,Dierdre Gwillym. 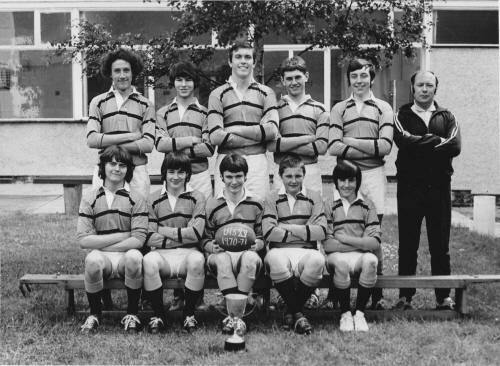 Back Row L-R: Elwyn Bevan, Terry Chewins, Gareth Jones, Philip Ingram & David Eynon. 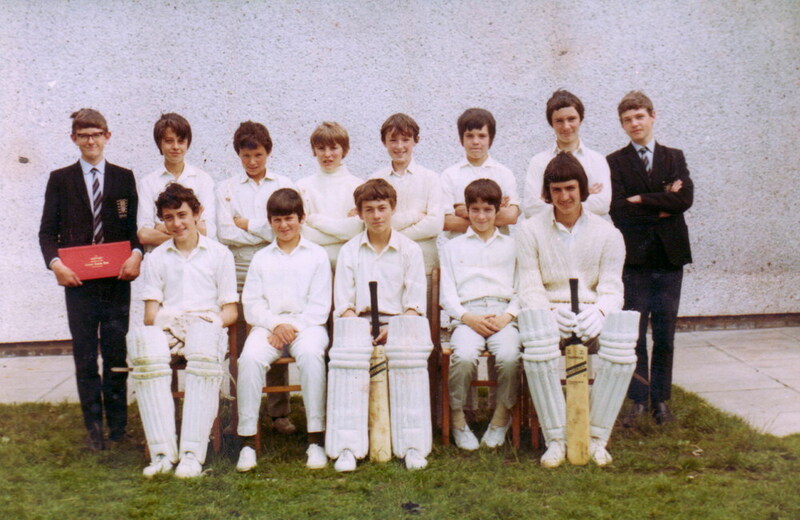 Middle Row L-R: John Shankland, Dennis Cotter, Meirion Thomas, Darryl Williams, Michael Edwards, Alan Hughes & Mr. Dai Howells. 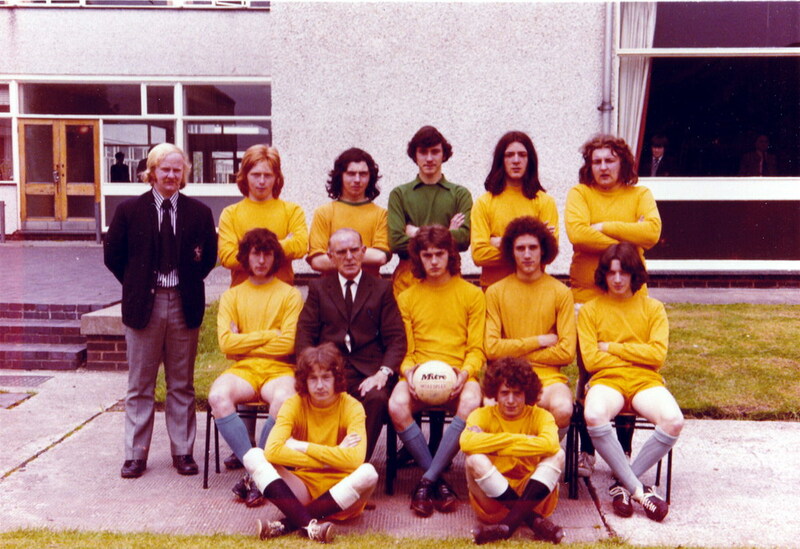 Front Row L-R: Alan Brown, Philip Morgan, Wyn Morgan, Ian Thomson & Mr. Bill Eynon. 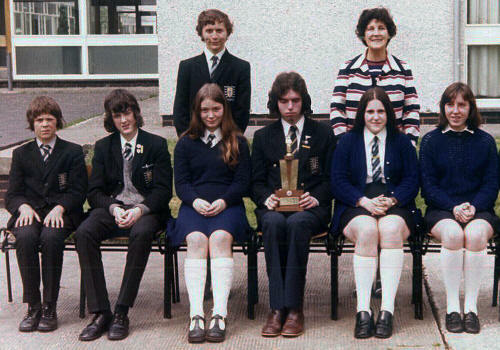 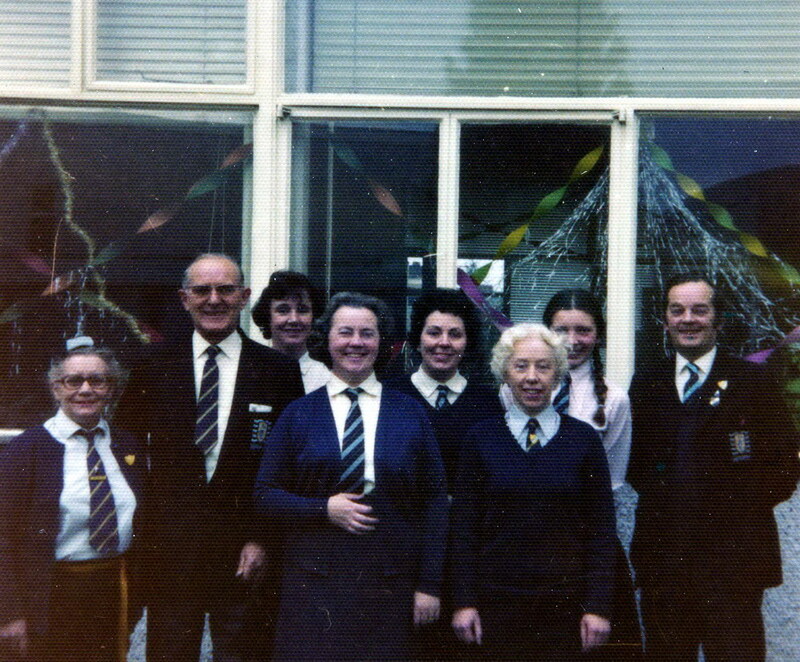 Left to Right:- ?, Mr Howells (Head Master), Sheila Evans (Lab Tech), Mair Attwood (School Secretary), ?, ?, ?, ?. 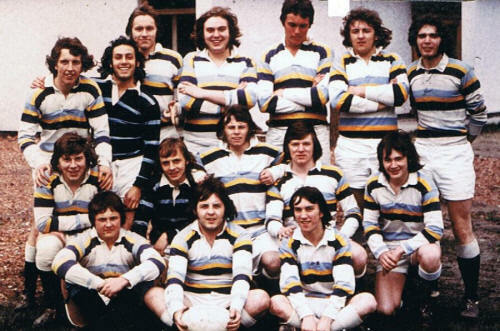 Front Row L-R: David Morgan, Alan Pound, Adrian O'Rourke, William Evans, Alan Williams, Keith Grundy. The winning County Borough Inter-Schools Top of the Form teams.